The struggles facing many Illinois families today did not begin with the current economic crisis. Economic security has been steadily eroding throughout the last few decades. Not only are more people than ever before without jobs, but over the long term the economy has shifted leaving fewer good-paying, family-supporting job opportunities available in the first place. 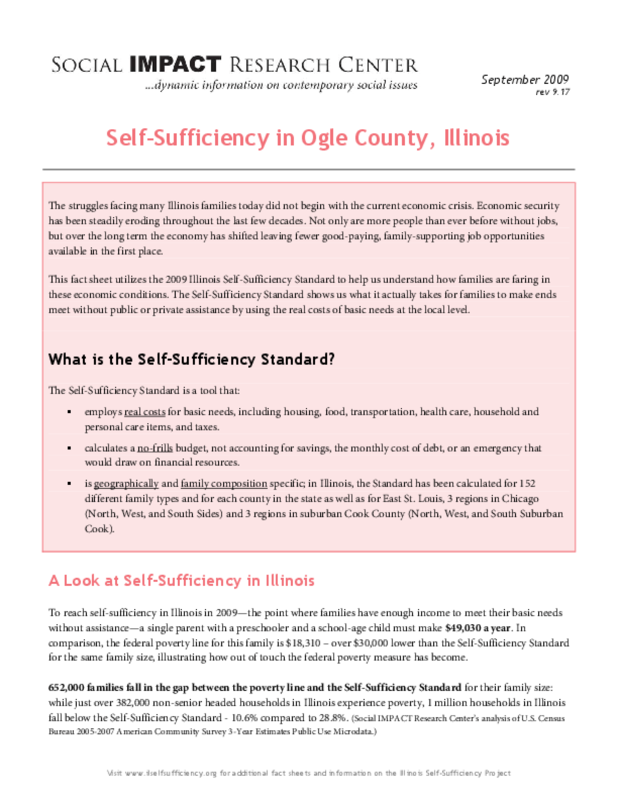 This fact sheet utilizes the 2009 Illinois Self-Sufficiency Standard.